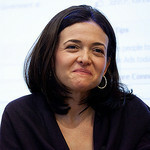 Where Did Sheryl Sandberg’s $11.8 Million Donation Go? At the end of 2012, Sheryl Sandberg gave 429,184 shares of Facebook, worth approximately $11.8 million at the time, to an undisclosed recipient. Many have speculated that this gift was used to build the Lean In Foundation, but if it was, then she didn’t go through the expected channels. The only currently available tax filling for the Lean In Foundation is from the 2012 fiscal year, and it shows that the organization received a mere $156,767 in contributions, and had approximately $148,000 in expenses, leaving it with just over $7,000 in total assets. It should be noted that $35,000 of that was given out as a grant to the Clayman Institute at Stanford in order to conduct gender research, while the rest was put toward operating expenses for the organization. Since the SEC Filing regarding the transaction falls within the 2012 fiscal calendar, the stocks should appear on Lean In’s balance sheet, if they’d gone to the organization. For now, the recipient of that gift will have to remain a mystery. Perhaps they went into some sort of trust that slowly sells off shares or uses the money from dividends to fund her organization? We don’t know for sure, but it seems like a definite possibility. It probably comes as a surprise that an organization that appears so robust has such a small budget, but given that Sandberg just made a deal for the film rights to her best-selling book, and has pledged to donate any profits from the film to charity (it’s unclear if that includes the money from the deal, but it most likely does), there will likely be at least a bit more of Sandberg’s money going toward Lean In. It’s a good thing too, since they announced plans to develop a paid internship program in the wake of a media outcry that they’d tried to hire an unpaid intern last Summer. Still, one has to wonder when we'll start seeing more serious giving from Sandberg, whether through Lean In, or some other avenue.